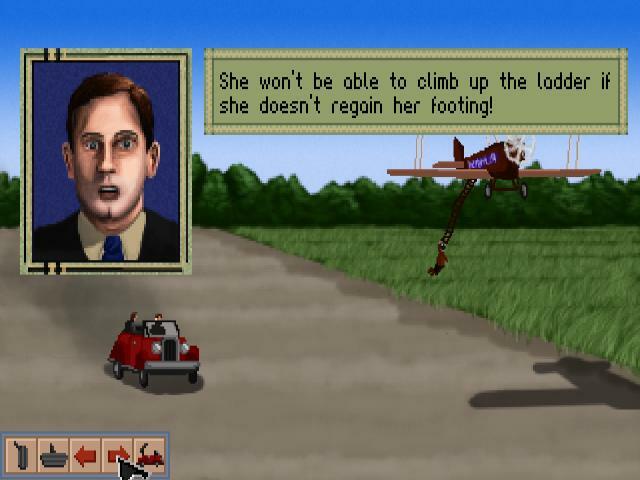 The point-and-click adventure market is a crowded one, with plenty of classics from Monkey Island to Fate of Atlantis, and it's always difficult adding games to the genre. A Golden Wake is an intriguing and undeniably handsome game but it fails somewhat in the story department, which is one of the key areas where such a game must work really hard. The adventure takes place in the Roaring 20s, when everything was full of glitz and glamour and you take the role of Alfie Banks, a small time real estate agent who aims to reach the top of his game but who gets caught up with the Mob and all sorts of other problems along the way. The game is based on actual events, and there are plenty of real-life characters to encounter as you follow through Alfie's life and you get to see how Florida grew from not much to the thriving city of today. In gameplay terms, this is very much a traditional point-and-click adventure, with an even mix of conversation and item-based puzzles to solve, and lots of unusual environments to explore. The gameplay is as standard as it comes, with nothing novel to speak of, and with the puzzles proving to be mostly on the easy side and which won't challenge genre veterans. The visuals are undeniably appealing, with some very nice character and location work which is distinctive and slickly done. However, while the concept behind the game's story is intriguing, and the whole experience is dripping in period atmosphere, the actual narrative itself is pretty dull, which makes playing the game a bit of a chore. An interesting game but not all that much fun.